Meet Stefani, one of Lisa's brides, that I had the wonderful opportunity to join on her bridal session. It's not every day that you run across a bride that wants to break away from the traditional floral and garden shots that normally go with bridal shoots. Stefani wanted something different and unique, and Lisa threw out the suggestion of the McKinney Cotton Mill. I don't think there could have been a better place for her. 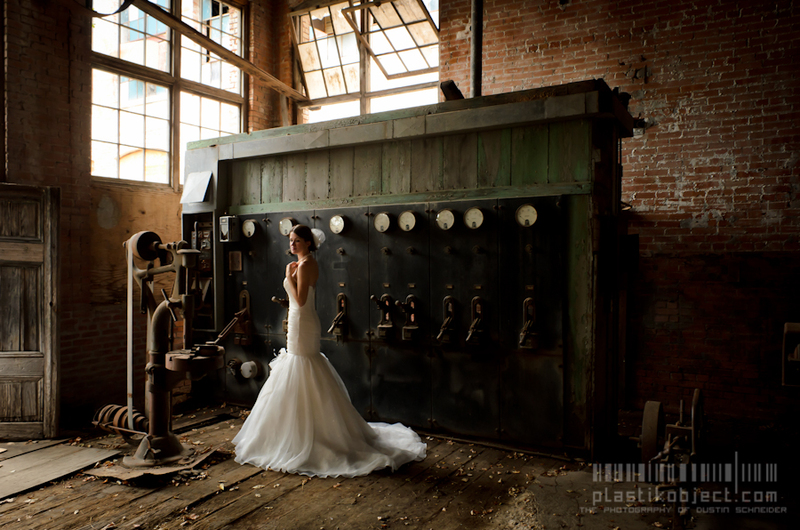 This was my first time to shoot up at the Mill so I didn't really know what to expect, but after arriving early and a little exploring, the ideas started exploding in my head. The building is a photographic playground. I can definitely see why it's a desired location to shoot, and why you have to sign a stack of releases just to enter. The day started out kind of odd. The mid point of the summer was here, and North Texas hadn't seen rain in almost 6 weeks. But as you can guess, when we woke up that morning, the humidity was high and the skies were threatening to unleash rain at any given moment. But that's the norm when you have an epic shoot planned, right? But the shoot turned out fantastic! 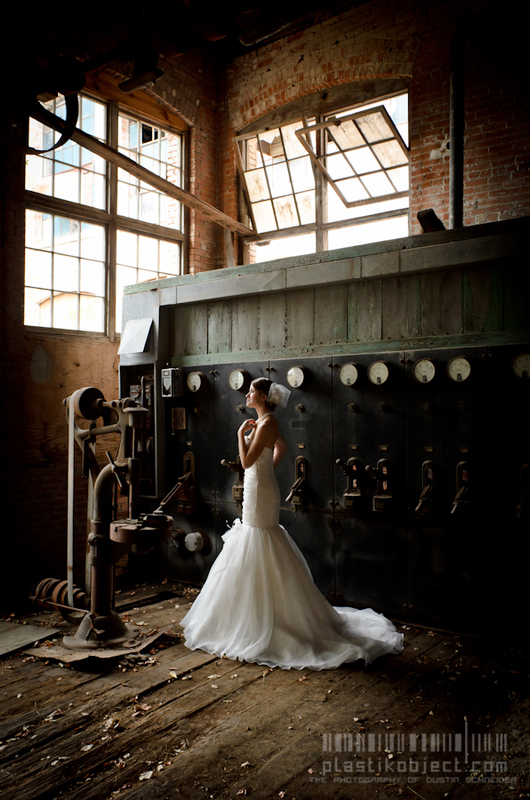 In my book there is nothing better then a beautiful bride in an old rustic building, Stefani and the Old Cotton Mill fit together like two Lego bricks! Thank you Stefani for allowing me to be a part of the most important time in your life! I wish nothing but the best for you and Patrick!